Why does real estate investing benefit families? How can real estate investing give you more time to your business, life and family? Can you get started if you don’t have a lot of money or good credit? Our guest, Moneeka Sawyer, has been investing in Real Estate for over 20 years. She has turned $10,000 into over $2,000,000, working only 5-10 hours per MONTH with very little stress. 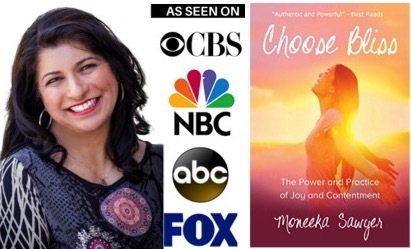 She is the best selling author of the award winning book “Choose Bliss: The Power and Practice of Joy and Contentment” and the host of the Podcast Real Estate Investing for Women. Her expertise, and bliss-filled laugh, have been featured on stages, radio, podcasts and TV stations including ABC, CBS, FOX, and the CW.